Last week there were lots of listings featured. 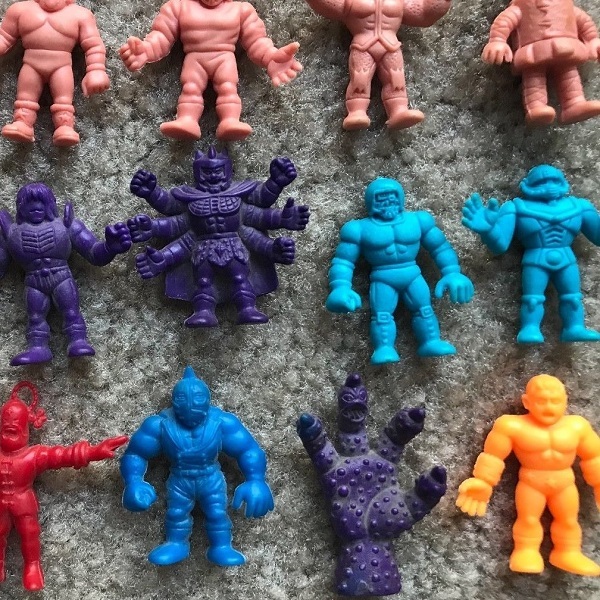 The Purple #153 lot further illustrates the ever declining price of the Purple #153 figure. My gut thought the price would go lower, but my brain was much closer to the final price. My brain was pretty close on the poster tube too. My gut didn’t weigh in on that listing. The $0.99 Flesh lot isn’t too shocking. The Light Blue #157 lot lasted longer than 24 hours, but someone did pounce on it. The least surprising listing is the still unsold Light Blue #163. 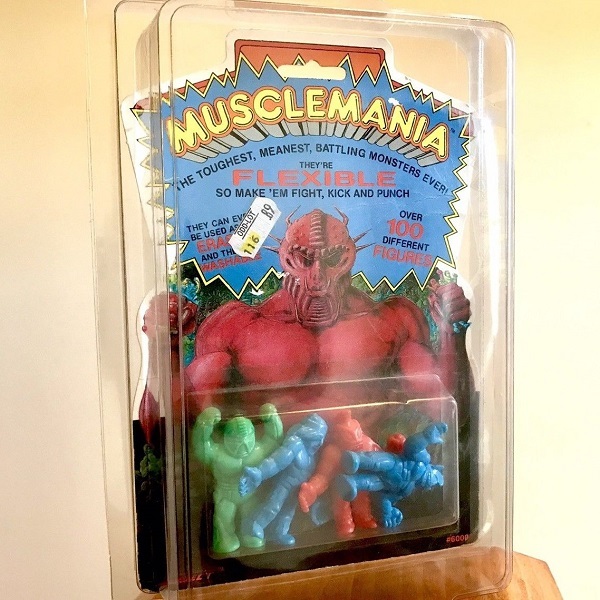 The most surprising result was the MUSCLEMAIA 4-pack. The original BIN price was $20. I thought it was a touch too high. Eventually, the seller and buyers did too. It appears that the seller dropped the price three times until he found his buyer. I think that is great. I wish more sellers acted like this one. He didn’t wait weeks or months – it was changing every few days. 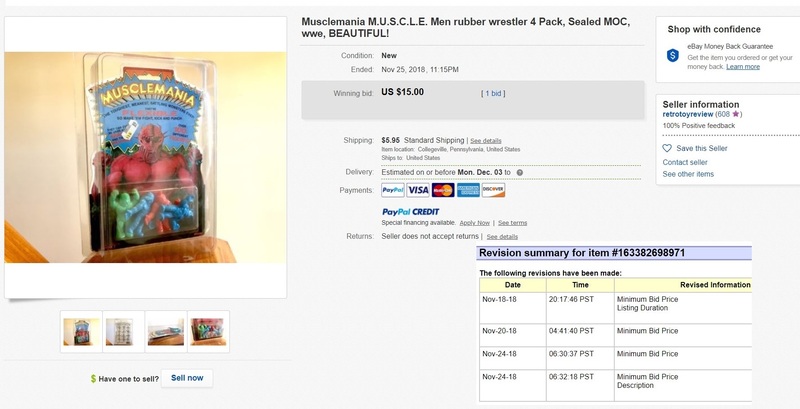 There are probably a couple dozen of people trying to sell M.U.S.C.L.E. figures that could learn from this guy. 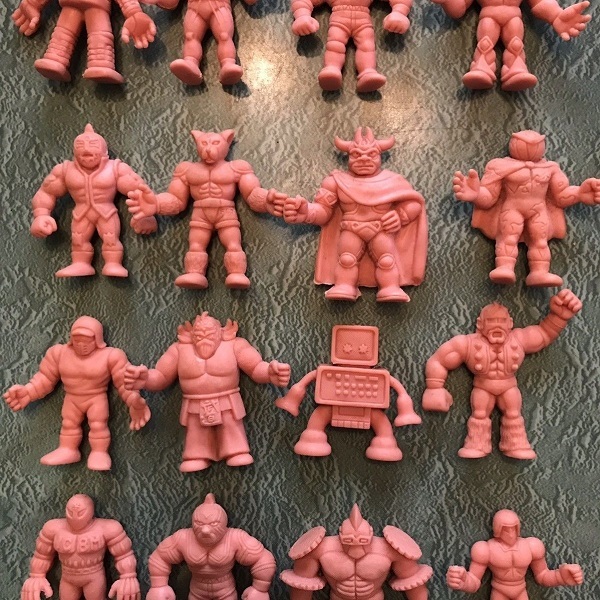 The first auction, Vintage 1980s Mattel M.U.S.C.L.E. 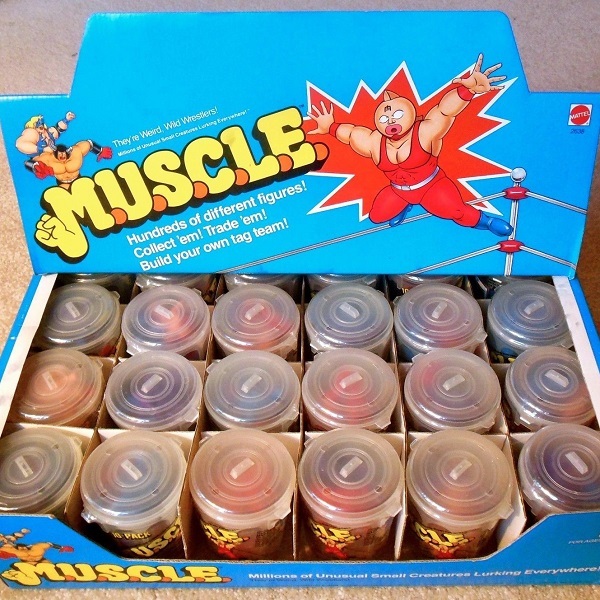 Muscle Men Figures 24x SEALED CANS Display Box, features the 10-Pack Display Case which has been mentioned many times before. 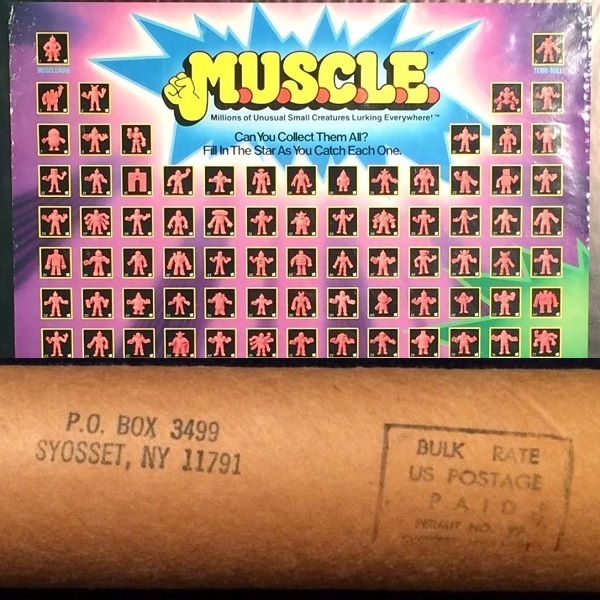 We recently saw the box alone sell for $140.07. Not too long ago we saw a ripped, and full, 10-Pack Display case listed with a $2,500 BIN. The eBay listing says that it sold. Is there really another buyer out there for a full 10-Pack Display Case? Maybe? As I’ve said before, I wouldn’t want all those 10-Packs. I like the box more than the 10-Packs, but not enough to spend more than $140.07. I guess I don’t like the box very much either. This would have been infinitely more fun as an auction. 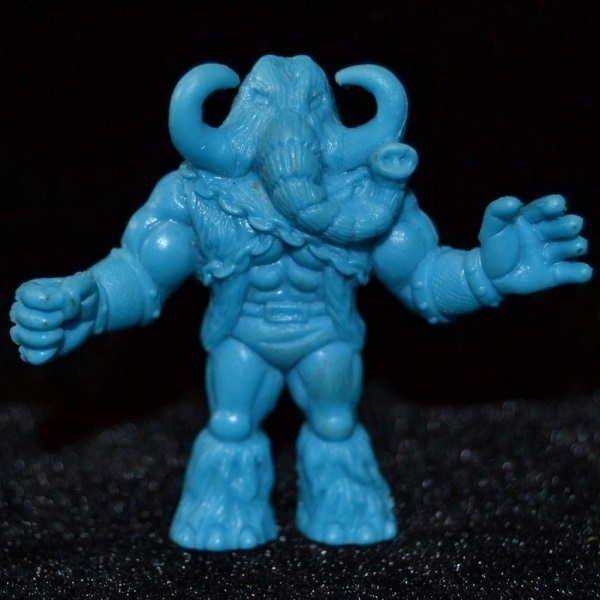 The second auction, 1986 Mattel M.U.S.C.L.E. 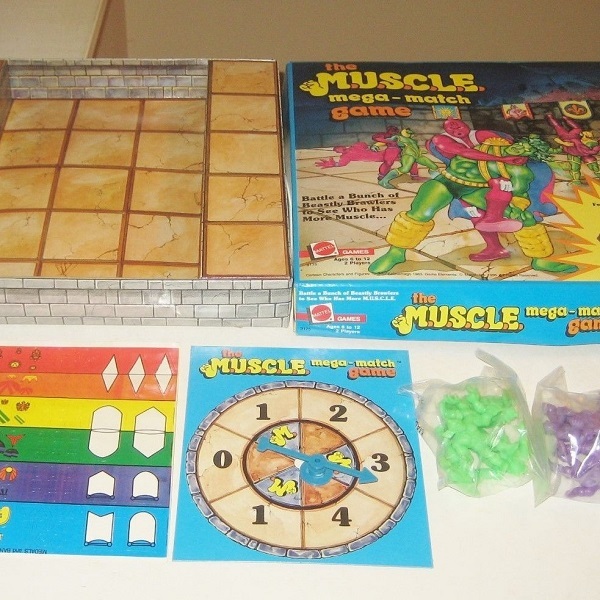 Men Mega Match Game New, provides lots of fun for M.U.S.C.L.E. collectors. The listing started at $19.99 which seems like a very, very fair opening bid for this lot. Board game prices have become incredibly unpredictable. We had two very similar auctions to this one sell for $40 and $80 in the same week. That’s very weird. You can look back at all the craziness is you want. I’m not. I will be sitting back and enjoying this listing. I may even throw in a bid. My only complaint is that the box is in pretty rough shape. I wish that an unused game had a box in better condition. I have board game boxes, without stickers, in much better condition. 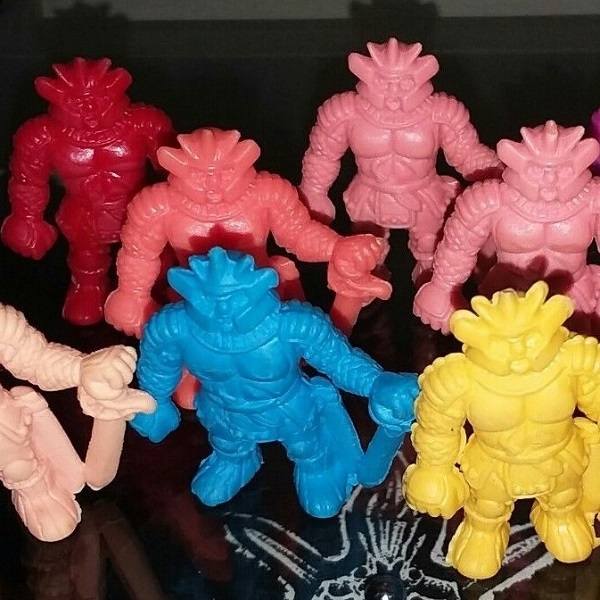 I guess, for me, I would be buying the figures and stickers with this lot. This entry was posted on Tuesday, November 27th, 2018 and is filed under Auction Watch, UofM News. You can follow any responses to this entry through RSS 2.0. You can skip to the end and leave a response. Pinging is currently not allowed.